The purpose of this seminar is to encourage greater musical interaction between students and teachers. This helps to keep the lessons vibrant, the learning fast and fun, and the musical engagement real and authentic. So often as piano teacher we sit and watch our students play, correcting their wrong notes and offering words of wisdom and encouragement. But this can mean that learning and teaching the piano can be a slow, tedious and repetitive journey. 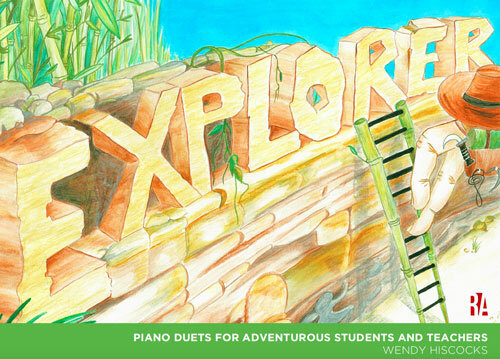 Playing music with other people in duets and ensembles is one of the most effective and rewarding learning strategies. As well as speeding up the learning process it can help develop greater listening and coordination and improve musical understanding. Two’s Company explores duetting skills between teacher and student in the lessons. Revolution Arts’ latest innovative publication, Explorer is designed for just that purpose proving 27 short pieces to integrate into your teaching. But this ‘hands on’ seminar goes further… Nicholas Keyworth will show how interactive teaching strategies can be a great way of learning new pieces - and fast! Using backing tracks, duet & ensemble playing, and improvisation, this can really speed up the learning process. And it's much more than just playing the notes. Nicholas is keen to develop greater Communication and Interpretation in playing - absolutely essential in successful exam performances. Nicholas goes ‘Behind the notes’ to show how teachers can explore the musical context of the pieces they are teaching offering some terrific insights in the music and opening up new opportunities to play the music more musically. Two’s Company culminates in a rehearsal and performance for all participants for Nicholas Keyworth’s exciting Shackleton’s Circus for 6 pianos - an ensemble piece you can also use with your own students.